There is one (1) Grand Prize available to be awarded in this Sweepstakes. 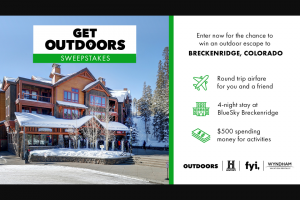 Once confirmed as the official Grand Prize winner, as detailed below, the Grand Prize winner will receive a 5-day/4-night trip for two (2) to a Sponsor-specified resort in the US Virgin Islands. 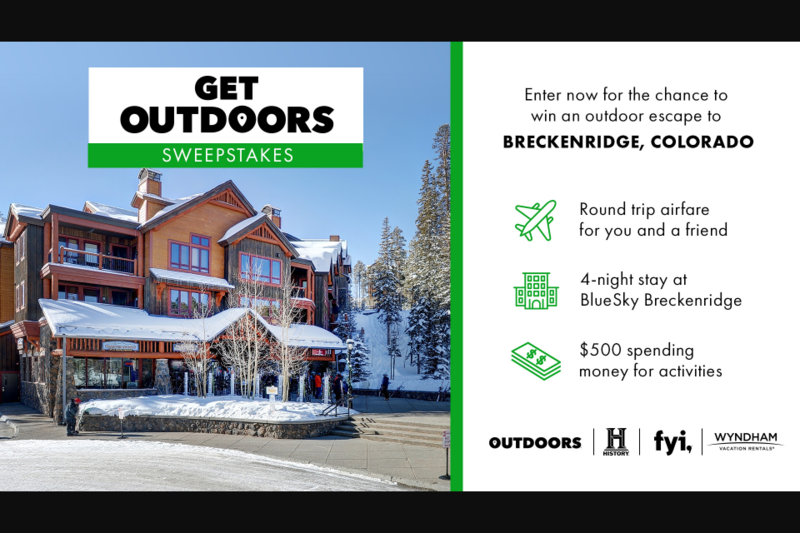 Trip includes up to $1,000 towards round-trip economy air transportation for winner and one (1) guest from the major (in Sponsor’s sole discretion) airport nearest Grand Prize winner’s home to St. Croix, USVI, hotel accommodations for four (4) nights based on double-occupancy, full daily breakfast for winner and guest at hotel, one (1) private cabana dinner, complimentary kayaking, snorkeling, scuba lessons, and paddle boarding, winner’s choice of either golf, tennis, or spa for two, one (1) Buck Island tour for two (2), one (1) Alexander Hamilton walking tour for two (2), and one (1) foodie tour for two (2). The total ARV of the Grand Prize is $4,834. Open to legal residents of the fifty (50) United States (including the District of Columbia), who are at least eighteen (18) years of age, or the age of majority in their jurisdiction of residence, whichever is greater, at the time of Entry. Limit one (1) Entry per person/email address, per day.